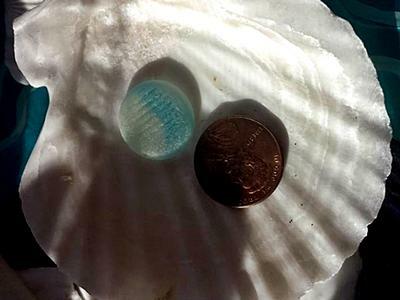 What is this pretty sea glass from Okinawa? Nice color combo and design? This piece has lines carved through it, flat and just a tad bigger than a dime. 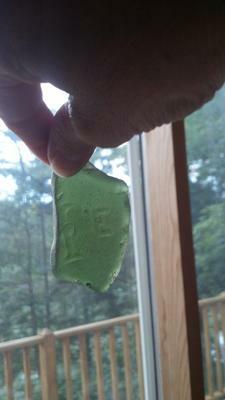 I found this while living in Okinawa Japan while looking for sea glass. 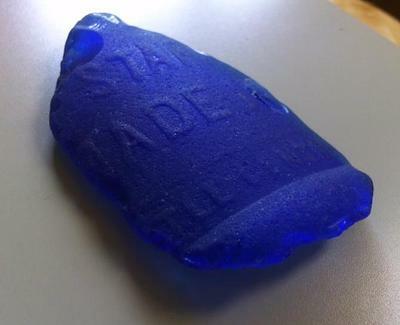 Comments for What is this pretty sea glass from Okinawa? Hi there, the sea glass you found is called OHAJIKI ( 御弾き )and these pieces are used on a traditional game for Japanese children. Players take turns flicking small, coin-shaped pieces called ohajiki with their fingers, to hit other pieces. 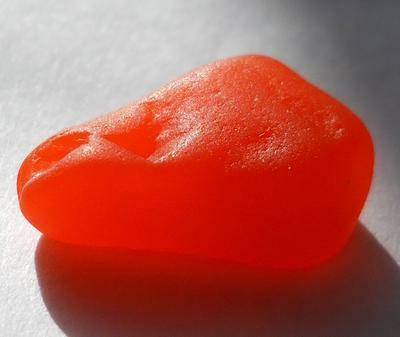 I also find flat marbles. I live in New Hampshire and find many flat marbles of all different sizes and colors. I have found 20 in the last month. Some are as round as my middle finger and thumb put together. Always a rich teal color. Some are smaller that the tip of my pinky finger. I can not find any uses except Japanese games. It's a mystery to me why there are so many. 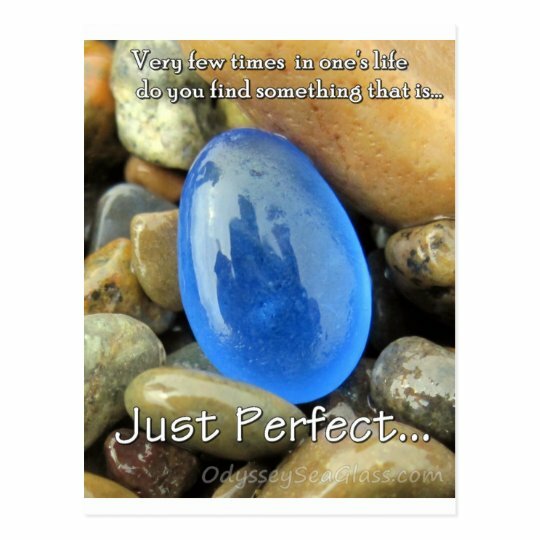 The minute I saw the picture I thought how fun, an Okinawan marble. They make the coolest glass objects. 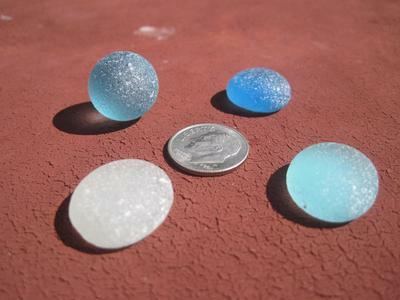 It makes me want to buy all the flat marbles I can and toss them into Lake Superior to get them tumbled back someday! 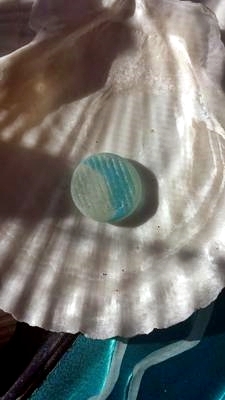 Shortly after posting this, Vickie added a link on our facebook page, https://www.facebook.com/OdysseySeaGlass, and identified this very nice piece as a flat glass "marble" used in a Japanese table game. 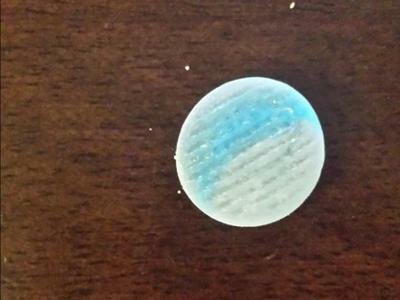 The link is to http://nippon-kichi.jp, where you can see the flat, bright, nicely-colored and striped flat marbles.